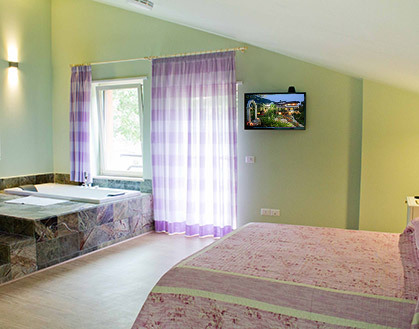 The Hôtel Des Rêves, in the Southern Latium, has brand new bedrooms, that are soundproof, with air conditioning system and guarantee the maximum of comforts. Every room of the hotel enjoy a natural brightness that is due to the exposure at the South and has parquet, balcony or window. There are different kind of rooms, for not smokers and for who has a motor disabilities. 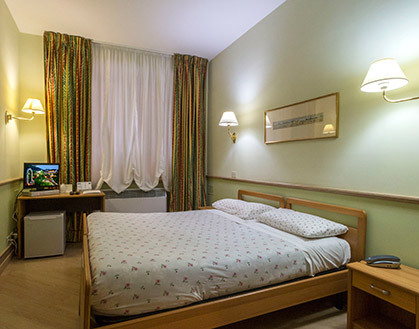 All the bedrooms have a wide bathroom with Whirlpool or shower box, bidet and WC, more than Internet wireless WLAN, TV-LCD, telephone, minibar, hair dryer, safe box, desk, sofa or a corner with table and chairs, and a lot of other services that make the our a real luxury hotel in this area of the Latium. Here air conditioned bedrooms await for you; they also have minibar and a wonderful panoramic view. Guest is a gem that lie over the pillow of hospitality.